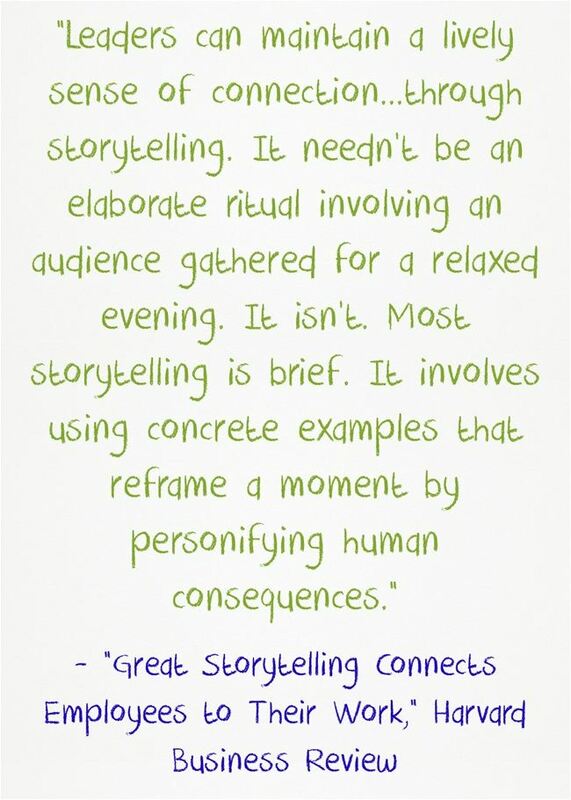 I was reading a new article in The Harvard Business Review titled Great Storytelling Connects Employees to Their Work. It talks, among other things, about telling stories instead of giving reprimands. It got me thinking about times when I’ve handled classroom management issues through having individual conversations where I’ve told stories. These short stories have either been recounting some related personal experiences I’ve had (when I was tempted to give-up because something was difficult) or stories about past students who had turned things around after having some rough-spots. As I thought about those times, I realized that it was an effective intervention in each case. What has been your experience with “storytelling as a classroom management strategy”?